As if you needed more confirmation that you really should start taking Snapchat seriously. Everyone's talking about it, it's mentioned repeatedly, and in close proximity to the word 'Millennials' many, many times across the web. You no doubt know that it's at least somewhat important and that it's growing in influence and relevance. You've no doubt also made up your mind one way or another as to whether you're going to jump on it. But in case you haven't, in case you're waiting for further confirmation about the viability of Snapchat and whether it's a worthy consideration for your social media marketing efforts, here's a new stat to add into the mix - Snapchat is now serving 10 billion video views per day. For comparison, Facebook was serving 8 billion videos views per day at last check, while YouTube's not as specific with their numbers, but lists its daily view count in the billions also (Statistic Brain estimates that YouTube serves 4.95 billion videos every day). Of course, there are a couple of provisos on those figures. First, the way each platform measures a video view is different, and that difference is important. YouTube counts a video view after 30 seconds, while at Facebook, they count a view after 3 seconds - and given that Facebook videos autoplay in the News Feed, that obviously leads to a significant measurement variation in the final numbers. Indeed, some creators have called out Facebook for this in the past, claiming that counting a view at three seconds greatly embellishes the actual levels of engagement - in a post on Medium by professional YouTuber Hank Green, he claims that the audience for videos on Facebook drops by up to 70%, on average, between the 3 second and 30 second marks. If those figures were to hold true overall, that would mean Facebook's inflating their video view counts by more than double what would actually be considered a relevant level of engagement, at least by YouTube's standards - and that's before we even discuss Snapchat, whose video view counts are even more debatable, given the nature of the platform and the metrics applied. On Snapchat, a video view's counted as soon as a Snap is loaded. So even if the user doesn't watch it, once it's up, it's a view. This obviously inflates their figures quite a bit, but even more than that, the very nature of Snapchat leads to alot more views that other platforms. For example, on Snapchat, you're restricted to videos of no more than 10 seconds in length, as per the ephemeral focus of the app. But through the adoption of Snapchat stories - which have proven to be one of the platform's most popular features (more than a third of Snapchat's 100 million+ user base create their own stories daily) - those view counts have become even bigger. You see, when people create a story, most of them are, at least in some part, adding in video Snaps to their sequence - a 'Snapchat Story', for those unaware, is a collection of your Snaps from a 24 hour period, telling your story from within that time. 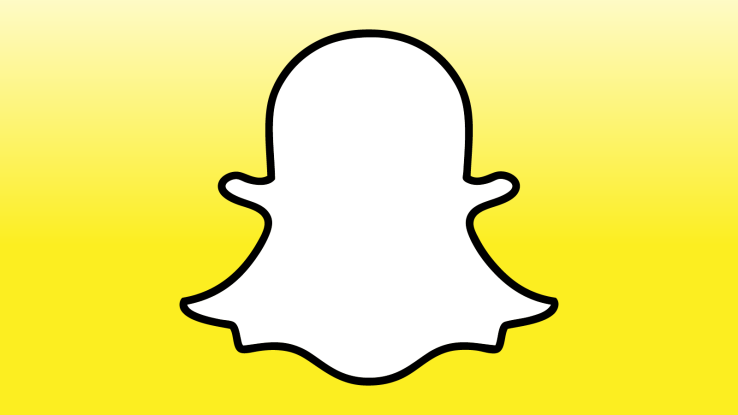 And worth noting too, Story content lasts on Snapchat for 24 hours, as opposed to the 10 second maximum for a single Snap shared with a friend. As people create content for their stories and post video elements, they quickly find that 10 seconds isn't long enough to say or show what they want, so instead, you'll get a string of videos on a single topic to best explain that Story element - a good example is DJ Khaled's infamous jet ski misadventure, where he somehow ended up lost at sea, documenting the whole thing via Snap. That video has a duration of 1 minute and 44 seconds, but it's actually 11 videos on Snapchat. On YouTube, where this has been uploaded, this would only count as one video view - on Snapchat, the same content is more than ten times that. As you can see, the actual way in which each platform measures a video view can cause significant variation in the final count. That's not to disparage Snapchat and take anything away from their growth - the app's gone from 8 billion views in February to 10 billion now, even if you were to consider only 10% of those views were comparable to how the other platforms quantify their engagement, that's still some million or so more views being added to the app's usage each month, which is an amazing rate of growth. But it is important to differentiate - the alternate forms of measurement make it virtually impossible to provide a like-for-like comparison between the view counts of each platform. Yet even taking this into account, what is clear is that the Snapchat phenomenon is very real. The app has done an exceptional job at integrating new features and updates within the scope of community demand. Evan Spiegel and his team definitely know what they're doing, and given the huge amount of influence the app now has in those younger demographic groups, Snapchat is extremely well placed to capitalize on that attention and become a more significant player in the wider social landscape, particularly as the app seeks to 'grow up' by offering more serious news coverage as their audience also moves beyond their teenage interests. In this sense, it'll be particularly interesting to see how Snapchat tackles upcoming news events like the 2016 Olympics and the US Presidential election. The platform's already hired a former CNN political reporter to lead its election coverage, and there have been various reports of different publishers looking to use the platform for Olympics coverage. If Snapchat can make that transition from trending teen app to serious news source, and become a bigger part in the lives of young adults, maintaining its position as a key communications platform with those users, it'll be well-placed to expand further and realize that once lofty $16 billion valuation placed upon it.